Lapis albus is also known as Silicofluoride Of Calcium. It was obtained initially from the mineral spring of Germany. An excellent remedy for any kind of tumors whether benign or malignant. 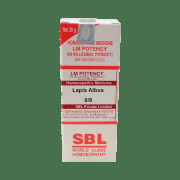 Good for infections of external ear known as otitis media. A tendency to affect the connective tissue around the glands. Good for various types of skin cancer. 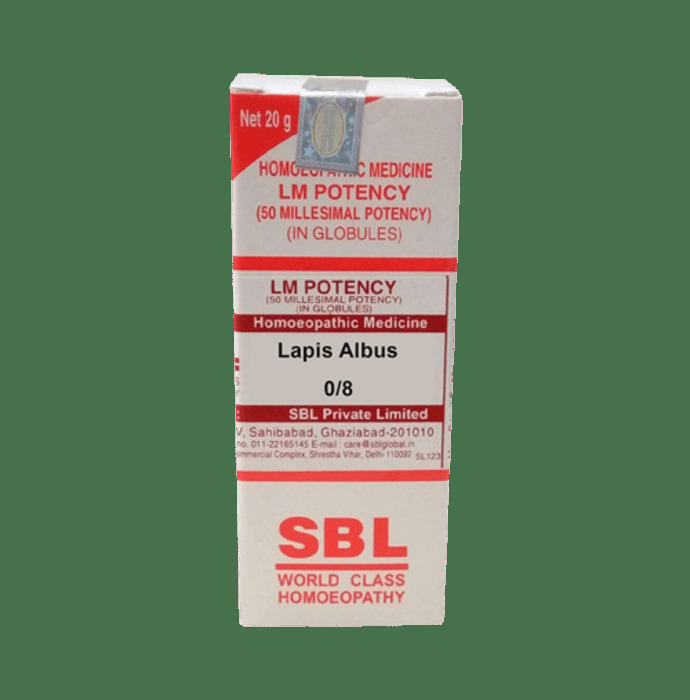 A licensed pharmacy from your nearest location will deliver SBL Lapis Albus 0/8 LM. Once the pharmacy accepts your order, the details of the pharmacy will be shared with you. Acceptance of your order is based on the validity of your prescription and the availability of this medicine.